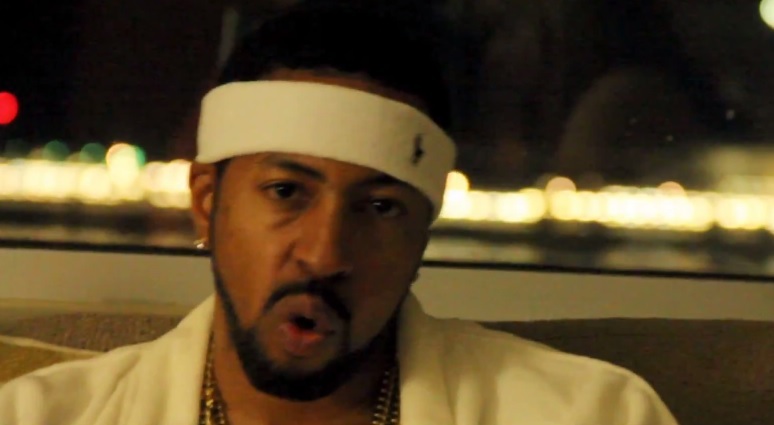 It’s all about strictly pimpin’ for Roc Marciano in his latest visual for “The Sacrifice” which is featured on the rapper’s new, The Pimpire Strikes Back, mixtape. Decked out in a white polo headband and matching bath robe, Marciano kicks some slick rhymes over the Madlib produced instrumental about his stable of women and their sacrifice to give up the goods in order to stack up his cash. Though Marciano’s flow at times feels like it takes a detour on and off beat, the New York bred rapper does a good job of playing up his laid-back persona to the camera and delivering enough witty lines about his female employees to keep your attention. This entry was posted in Music, Video and tagged hip hop, Music Video, new york, pimp, rap, Roc marciano, the pimpire strikes back, the sacrifice. Bookmark the permalink.